Washington, DC: A delegation of members of the National Federation of Croatian Americans Cultural Foundation (NFCA) met with the White House’s National Security Council staff and several US State Department policy officials earlier this month to discuss the current status of relations between the United States and Croatia and to express their concerns about the ongoing problems faced by Croats in Bosnia and Herzegovina (BiH). Led by President John P. Kraljic, the delegation also consisted of NFCA’s Former President Steven Rukavina, Eastern Regional Vice President Zvonko Labas, National Treasurer Jelena Rudela, Croatian American Society of Sarasota President and NFCA member Mario Spalatin, and NFCA Director of Public Affairs Joe Foley. The delegation initially met with Deputy Assistant Secretary Thomas Countryman, Croatia Desk Officer Nicola Verola, and BiH Desk Officer Michael Fooks at the US Department of State. Later, the delegation met at the White House Conference Center with Jeffrey Hovenier, Director for Central and Eastern Europe at the National Security Council, and Karen Richardson, Associate Director of the White House's Office of Public Engagement. During both meetings, State Department and White House officials provided their views regarding current Croatian American relations, the domestic and international political status of Bosnia and Herzegovina, and other issues concerning the new nation-states that emerged from the former Socialist Federal Republic of Yugoslavia. In each case, there was unanimous agreement that relations between the United States and Croatia have continued their positive trajectory. A number of officials repeated their amazement at Croatia's recovery from being a war-ravaged country 15 years ago to a nation which has joined NATO, is a welcomed participant in NATO's engagement in Afghanistan, and has become a primary factor for stability and the growth of democracy in Southeastern Europe. Discussions concerning Croatia also focused on other general areas of importance to Croatian Americans such as trade and investment issues, visa waiver problems, and direct airline connections. During both meetings, the NFCA delegation spent considerable time discussing their concerns related to the position of Croats in Bosnia and Herzegovina. They particularly focused on the problems resulting from the thwarting of Croat political participation in the necessary political administration of BiH. As Mr. Kraljic later noted, "For too long the many important concerns of the Croats in Bosnia and Herzegovina have been ignored while the international community has attempted to resolve the constitutional, political, and economic problems of the country. The current constitutional structure of the Federation of Bosnia and Herzegovina has led to Croats being unable to effectively elect an appropriate member of the Presidency that would be universally recognized as representing the interests of Croats in this state. We strongly urged American officials that they must insist on the active participation of all important Croatian political groups as well as the Catholic Church in any discussions related to reforming the structural basis of Bosnia and Herzegovina." In keeping with such sentiments, the NFCA delegation reiterated its support for the territorial integrity of BiH but emphasized that such integrity requires that the Croats - as the smallest of the three constituent nations of the country - be treated equally with the Bosnian Serbs and Bosniaks currently running the state. As Mr. Kraljic later stated, "The lack of a political voice in the central organs of both the Federation and the country as a whole has directly led to the increased emigration of Croats from BiH. Without such a voice, we cannot be assured, for example, that Croat areas of the country will equally share in economic programs with areas predominately populated by Bosnian Serbs or Bosniaks." The NFCA is the national umbrella organization of Croatian American groups that collectively represents approximately 130,000 members. For additional public affairs information, please contact NFCA Headquarters at (301) 208-6650, or by email at NFCAhdq@verizon.net. For recent NFCA newsletters, important NFCA membership application and chapter information, and other Croatian American news please visit the NFCA's Web Site at www.nfcaonline.com. 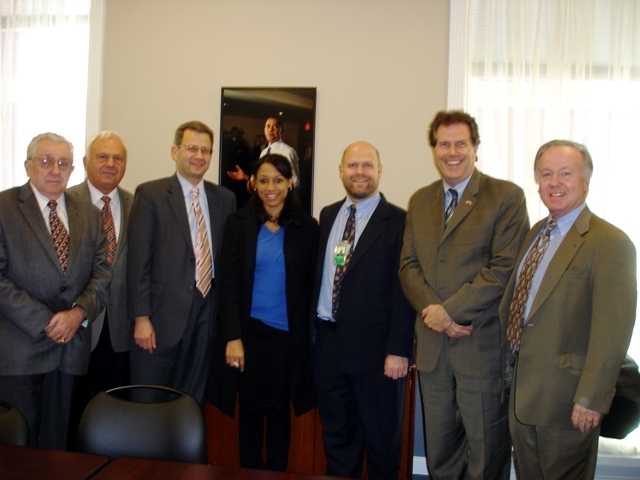 National Security Council Staff meeting at the White House with the NFCA and Jeff Hovenier, the NSC’s Director for Central and Eastern Europe, and Karen Richardson, the Associate Director of the White House Office of Public Engagement, on November 1, 2010. 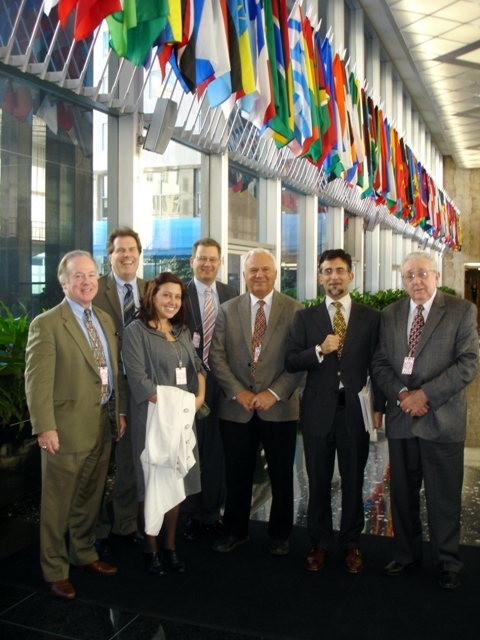 NFCA Leaders in US State Department Lobby: Left to rt – Joe Foley, Steve Rukavina, Jelena Rudella, John Kraljic, Mario Spalatin, new Croatia Desk Officer Nicola Verona, and Zvonko Labas. 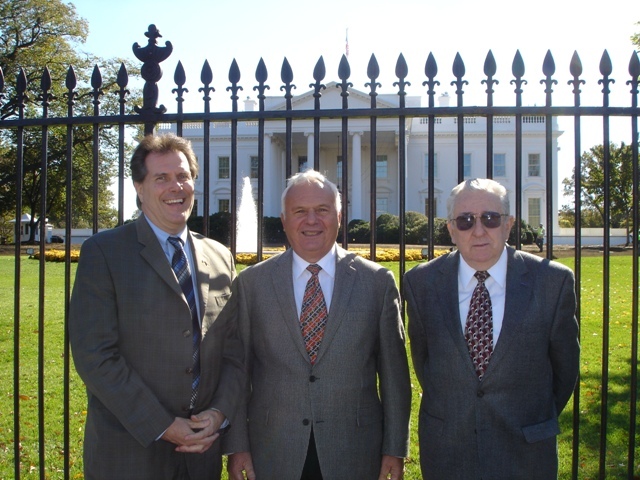 The NFCA’s Steve Rukavina, Mario Spalatin, and Zvonko Labas in Washington for foreign policy discussions at the US State Department and with NSC staff at the White House.